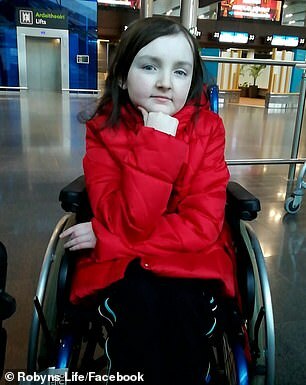 A 14-year-old Irish girl who has been battling cancer for 12 years is flying to the US for treatment. 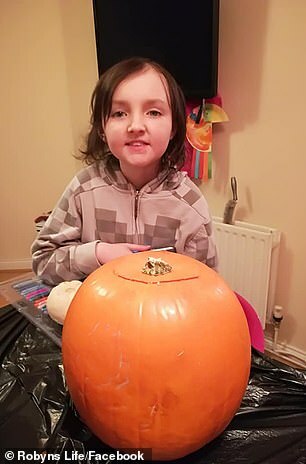 Robyn Smyth, from Dublin, was first diagnosed with stage 4 neuroblastoma, a cancer that forms in nerve tissue, at three years old in September 2007. After going through a series of aggressive treatments, she was declared to be in remission in 2009. However, she’s relapsed four times since and doctors in Ireland say they’ve done all they can to help her, reported The Irish Sun. 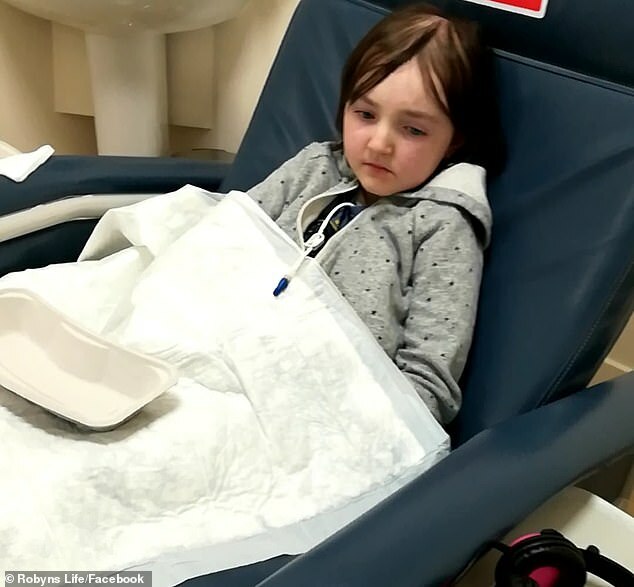 Now her parents say they’re bringing her to Michigan, where she was treated three years ago, in the hopes that medical team can help Robyn enter remission again. Neuroblastoma is a cancer that develops in immature nerve cells throughout the body. It most commonly begins in the adrenal glands, which are right on top of the kidneys, but can also develop in other places such as the chest, abdomen or spine. Symptoms include abdominal pain, chest pain, dark circles around the eyes, fever and weight loss. The cancer is most frequently diagnosed in children who are five years old or younger. Treatment depends on the tumor’s location and size, but can include surgery, chemotherapy, radiation, immunotherapy and stem cell transplants. According to Extra, Robyn was given a 30 percent chance of survival when she was diagnosed with the cancer as a toddler. However, she was declared to be in remission in 2009 and remained cancer-free until July 2013, when doctors found a tumor in her jaw. Following chemotherapy and radiation therapy, she was once again declared to be in remission until 2015. The cancer had reentered her jaw and, this time, it was also in her spine and pelvis. 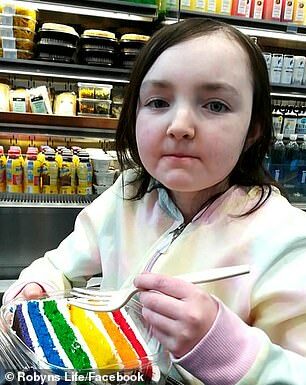 It was around then that Robyn’s chances of survival fell to five percent and doctors told her family to stop treatment, reported Extra. Her family refused and Robyn entered remission again, but has since relapsed twice more – in January 2017 and in January of this year. 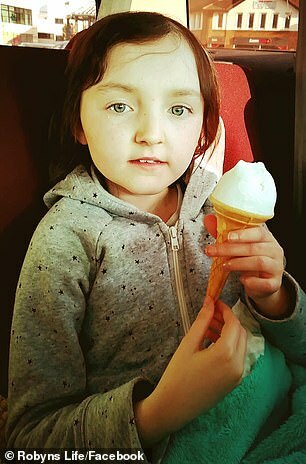 Robyn had been participating in a trial for a neuroblastoma vaccine that could help prevent relapse at Helen DeVos Children’s Hospital in Michigan and Memorial Sloan Kettering Cancer Center in New York. Her parents says the treatment, which began in August 2018, appeared to be working until recently. ‘We are devastated as the hope was to keep it away. 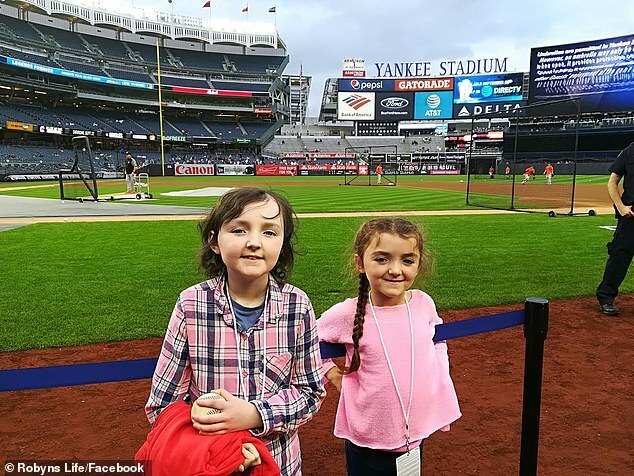 We are talking to neuroblastoma experts globally and there are still several options in America and Germany that can get her back in remission and keep her there,’ her mother, Bernadette Dornan, wrote in an Instagram post. The family is now traveling to Michigan to undergo scans and begin oral chemotherapy that will hopefully kill the cancer cells in her body. Her family has started a GoFundMe page to help cover the cost of medical bills and travel. So far, more than €129,900 ($147,400) has been raised out of a €300,000 ($340,500) goal.